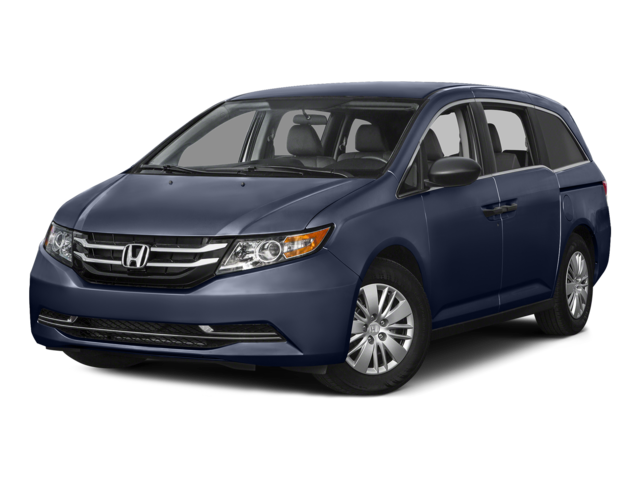 The 2016 Honda Odyssey represents everything that Goshen and Monroe drivers need in a minivan, easily outshining the 2015 Nissan Quest in every way that matters. Read on to see our competitive breakdown. The 2016 Honda Odyssey is available in six trim levels, so Goshen and Monroe drivers will have no trouble finding the right one for them. LX: The standard Odyssey provides a level of technology unrivalled by many high-end models. You’ll find a rearview camera for easy reversing, and you can manage all trip information on an 8-inch multi-information display. EX: Every row gets its own climate zone with tri-zone automatic climate control, plus the entertainment that comes with a 7-speaker, 270-W audio system. There’s even a Honda LaneWatch system to help keep you safe. SE: An all-new trim for 2016, the SE includes the class-exclusive HondaVAC built-in vacuum cleaner, a rear-seat entertainment system, and a complimentary subscription to SiriusXM satellite radio. EX-L: Ideal for those who spend a lot of time on the highway, the EX-L adds a forward collision warning system and a lane departure warning system. Touring: The Touring trim adds a 10-way power driver’s seat with power lumbar support to keep you perfectly relaxed and supported during long journeys, plus integrated 3rd-row sunshades. Touring Elite: For when nothing but the very best will do, the Touring Elite includes a 650-W 12-speaker premium audio system, an ultrawide rear entertainment display, and a blind spot information system. S: Provides everyday features, such as air conditioning and a 4-speaker audio system. SV: The SV model adds 16-inch wheels and handy power sliding doors. SL: The SL includes a power liftgate and 18-inch aluminum-alloy wheels. Any Goshen and Monroe parents who have driven a vehicle packed with the whole family will know that you need plenty of power beneath the hood in order for the ride to remain responsive. 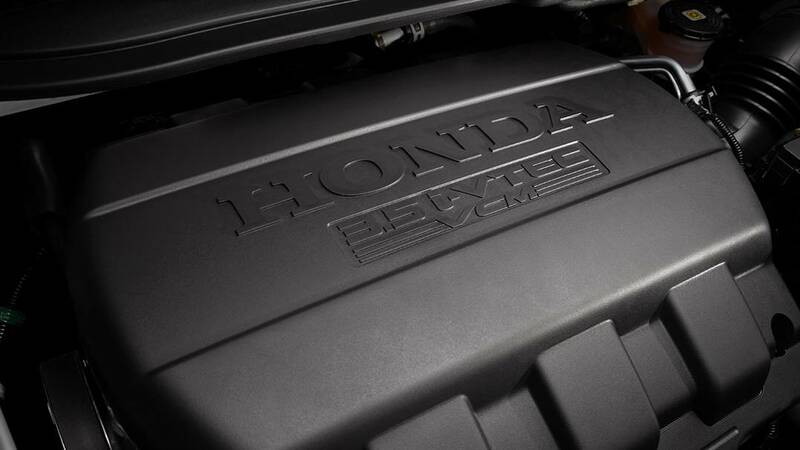 The 2016 Honda Odyssey delivers with a SOHC i-VTEC V6 engine mated to a 6-speed automatic transmission system and 2WD. With 248 hp and 250 lb-ft of torque to call upon, your drive feels supremely confident, while a family-friendly mileage rating of 28 mpg on the highway* ensures that you can stay on the road. 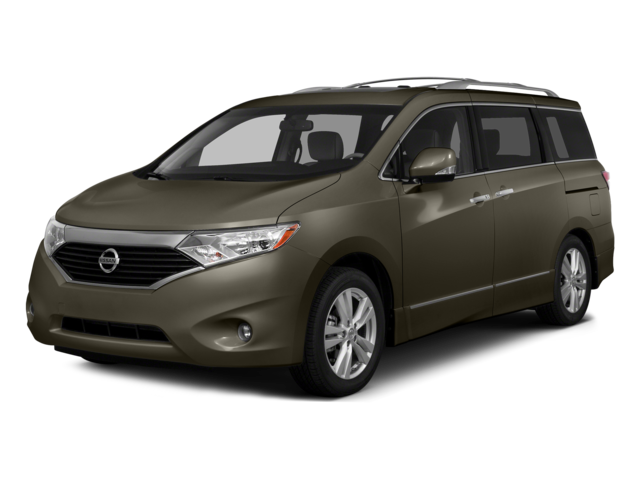 The 2015 Nissan Quest comes in with similar power; its 3.5L DOHC V6 engine churns out 260 hp and 240 lb-ft of torque. However, you’ll only reach 27 mpg on the highway, something that will quickly make itself felt. 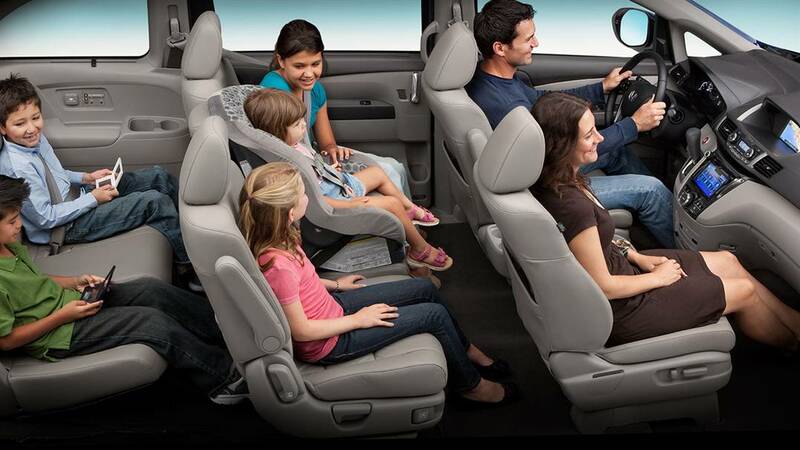 The 2015 Nissan Quest is only able to squeeze in up to seven passengers, while the 2016 Honda Odyssey can easily accommodate up to eight. Of course, that doesn’t come at the cost of cargo space and versatility – the Odyssey offers a number of flexibility features that don’t come with the 2015 Nissan Quest. Third-Row Magic Seat: Flips down in one smooth movement to provide quick and easy cargo room. Wide-Mode Second-Row Seats: Onboard seats in the second row move 1.5 inches to each side, so everyone has a little extra space. Multi-Function Second-Row Center Seat: With just the pull of a lever, your second-row seats will move forward to create more third-row legroom or storage space. Bluetooth Phone System: Need to make a call? 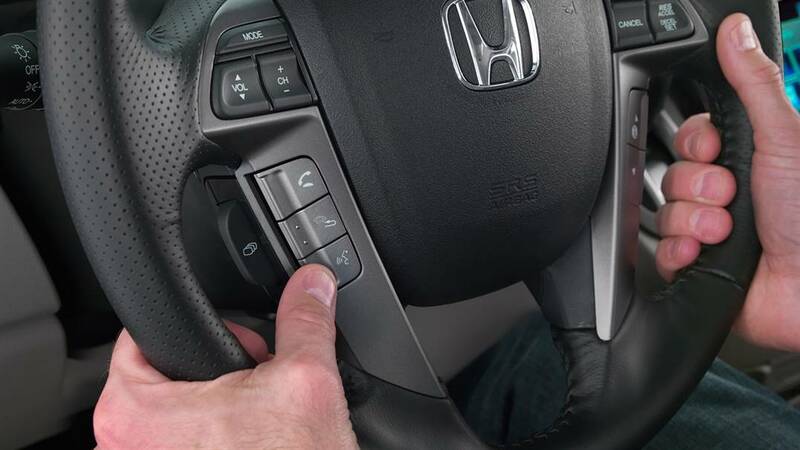 Just use your standard Bluetooth system to do so without taking your hands from the wheel or your eyes from the road. Rearview Camera: Odyssey loaded with luggage and packed with kids? 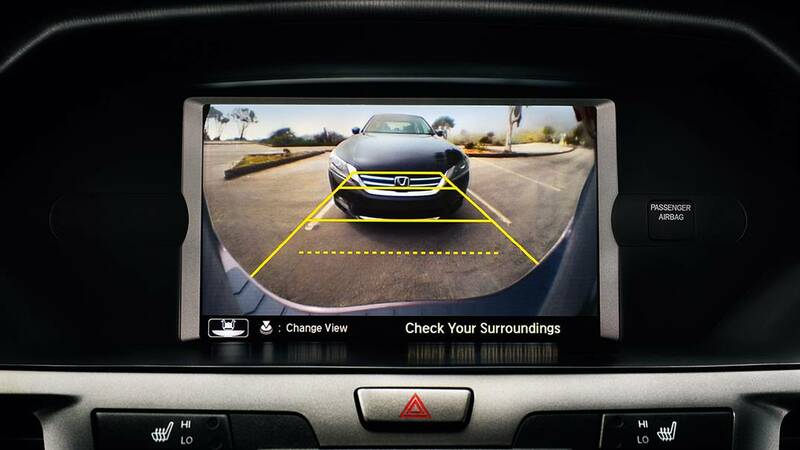 No need to peer over the top of everything when you’re reversing, just use the integrated rearview camera. You’ll also be able to take advantage of class-exclusive available features, such as the nifty HondaVAC. An integrated vacuum found right in the rear of your Odyssey, the HondaVAC makes clearing up after the kids quicker and simpler than ever. 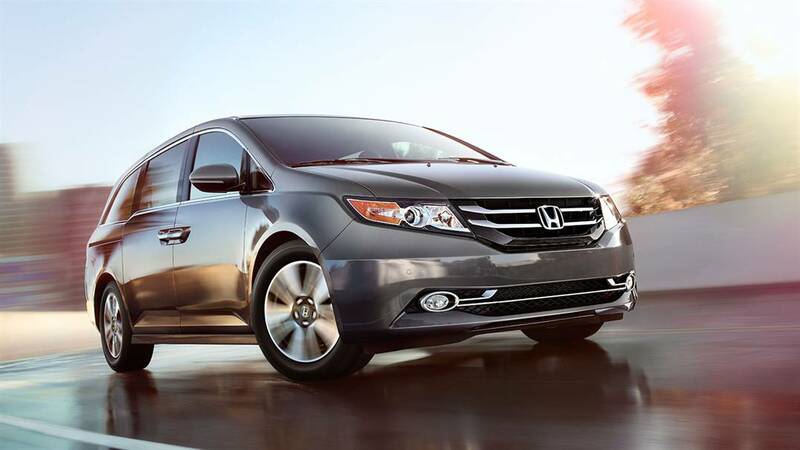 The 2015 Honda Odyssey was named a 2015 Top Safety Pick by the IIHS, having earned the highest score in every category during crash testing, and the 2016 model builds on its strengths. The 2015 Nissan Quest didn’t perform nearly so well, with a rating of “Poor” in the small overlap front category and a rating of just “Acceptable” for roof strength. This might be because the Quest wasn’t constructed using Honda’s innovative Advanced Compatibility Engineering (ACE) body structure, which crumples intelligently to prevent impact energy from harming passengers. 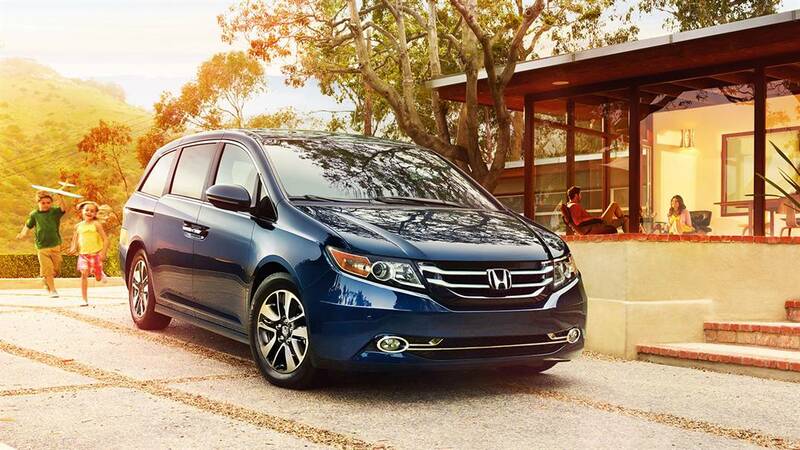 The 2016 Honda Odyssey is available now from Middletown Honda, so don’t hesitate to come down today for a test drive. We hope to see Goshen and Monroe drivers soon!